For many people the most important thing in their life is not the next big phone release. It’s not how many cores power their phone, or how many megapixels are in the camera. The most important thing in their life is their children. However, that doesn’t mean gadgets and kids never mix. Anyone that has kids, or is around kids a lot, will know how interested they are in whatever phone or tablet you have. Kids of all ages are surprisingly quick to learn how to use a smartphone or tablet. Even better than some adults. The advent of the touchscreen has made these devices very easy for young kids to use. It’s no surprise that the Google Play Store has been filling up with apps designed specifically for young minds and small fingers. 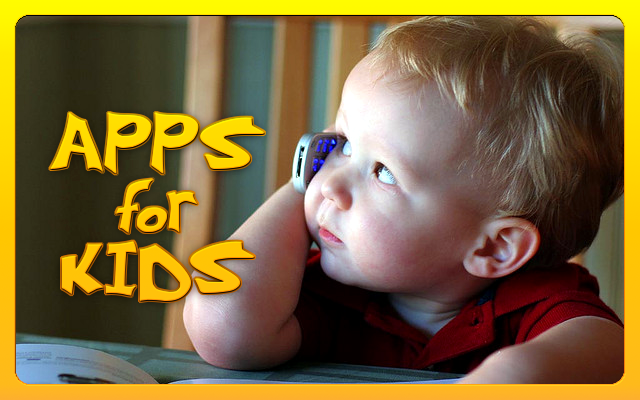 We’re taking a look at some of these apps for kids, toddlers, and babies. When you’re done washing the crayon off that wall, take a look! Make your child hungry for his or her next math discovery with Slice Fractions. Knowing that slicing games are incredibly fun, the developers behind this game teamed up with university education experts to craft a creative and new way to learn fractions. Let your kids practice their times tables in the most fun and interactive way possible, whilst helping Whizz rescue the Squeebles from the clutches of the nasty Math Monster. Earn a multitude of rewards and turns on a great mini-game by doing well in your times tables. Teaching your toddler to count is as easy as 1, 2, 3. Watch your toddler discover the simple joy of learning as they tap and count along. Designed for young minds and tiny fingers, the gameplay is simple and without fuss. It’s filled with heaps of lighthearted fun and even more room to grow. Join your child’s favorite monkey in math games and activities in a playfully designed beach-themed world. Monkey Math School Sunshine allows your child to build fundamental math skills while they are endlessly entertained. Your child will count, add and sort their way through engaging games with uninterrupted play. Set the stage for reading success with this delightfully interactive educational app. Kids will have a blast learning their ABC’s and building vocabulary with the adorable monsters in Endless Alphabet. Each word features an interactive puzzle with talking letters and a short animation illustrating the definition. The new DK Readers app makes learning to read fun and exciting. You can browse through a whole library of fantastic books on topics like farm animals, fishy tales, emperor penguins, and Ewoks. eBooks are labeled with reading levels so you can pick the right one for your child. This app is perfect for each stage of your child’s development. Is your child ready to go around the world on a learning adventure with Super Why? Your child can do just that while playing a comprehensive collection of five interactive literacy games that help build strategies and skills to master the alphabet. This app is especially great for preschool and kindergarten prep and practice. In this app, which is the first of a series from Nickelodeon, your child will learn the Alphabetic Principle: to recognize letters, write letters and associate letters with sounds. Dora and Boots teach sounds that letters make so kids can associate those sounds with the appropriate letters. Toca Lab allows kids to explore the colorful and electrifying world of science and meet all 118 of the elements from the periodic table. Each element has its own personality in Toca Lab. What does Neon sound like? Is Gold heavy or light? Kids can explore, inspect, and study each one until they find all 118 elements. Show your children the amazing world of astronomy with Sky Map. This app simply allows you to show your children a “map” of the stars. Teach them about constellations, planets, and more with a virtual reality overlay of the nighttime sky. At the very least your children will have a new respect for the sky. There is no better way to learn about animals than to become those animals. Explore special creature powers in these engaging educational games, as you pollinate flowers as a bee, bathe elephants, and feed a family of raccoons with the help of the Kratt brothers. Does your kid want to be a scientist? This game is the perfect starting point. The science here is for your kid to find a way to make the formula pass through all the lab tubes, until it gets to its final destination. To do that they must align all lab tubes in the correct position, and much more. This game is not billed as educational, but it teaches kids logic and critical thinking, which are important in science. Their job is to help Alex finish his chores by building simple Rube Goldberg machines. Along the way they will learn trial and error, physics, and more. The Fraggles are back! Fraggle Friends Forever is a great experience for parents and kids alike to jump into the one-of-a-kind world of Fraggle Rock. This new enhanced story app includes tap-and-play animations on every page, hilarious special effects and entertaining games. Grimm’s Bookshelf is a convenient one-stop destination for 3D interactive fairy tale pop-up books. StoryToys specialises in bringing fairy tales into the digital world while retaining the substance and tactility of real books. Grimm’s Bookshelf enables you to read classic stories to your kids with fun visuals. Start your engines! Read along as Lightning McQueen and the world’s top racers power through the streets of Tokyo, Japan; Porto Corsa, Italy; London, England, and Radiator Springs in this original story. Your child can even customize the race cars and teams that will appear in the story. Red In Bed is an original story about the colors of the rainbow who cover for Red while he is sick. It is written, illustrated and developed by an interaction designer who wanted to keep the simplicity of a classic children’s book while adding a layer of gentle interactivity to help involve the child in the narrative directly. The Butter Battle Book tells the tale of the Yooks and the Zooks who are in a long-running feud. The Yooks eat their bread with the butter side up, while the Zooks eat their bread with the butter side down. This classic Dr. Suess story will teach your child about equality. If you let your kids use your phone or tablet a lot you may want to think about using this launcher. It allows you to customize what apps your kids can use, and restricts access to certain apps and personal information. It also puts parental controls on certain things, such as purchasing apps. This “game” is just a simple drawing board that locks your child out from doing anything else on your phone. You can hand your phone to any kid with this app enabled and not worry about them messing with anything. Just hand it off and watch them draw. If you don’t want to constantly give up your own phone or tablet there are devices made especially for kids. The Nabi Tab is one of the most affordable and best on the market. It has a special design that is easy for small hands to hold, and an interface that is easy for kids to use. It can also be used by adults if you set up a “Mommy Mode.” The Nabi Tab is available on Amazon for just over $150. That is our massive list! There are many, many great apps for kids in the Google Play Store. Devices like phones and tablets are great ways to trick your kids into learning with fun apps. 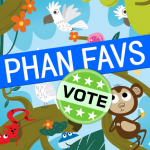 For more ideas on apps for your kids check out our list of suggestions from readers. You can also share your favorites in the comments below. Thanks! What are the best apps for kids?